Many casual observers of contemporary Israeli affairs face a puzzling dilemma when asked to think about the effects of the so-called BDS (Boycott, Divestment, Sanctions) movement. On the one hand, they hear reports of ever-increasing accomplishments in the Israeli hi-tech sector with Israeli corporations being purchased by international conglomerates and increases in exports all over the globe. On the other hand, they are being told that BDS is deeply hurting the Israeli economy and is a force that needs to be combated with all the intensity possible. Despite the seeming contradiction between these two realities, the fact is that both are true. Yes, Israel continues to hold remarkable influence over global markets and Israeli corporations are able to report growing export figures each year. But, when one takes a look beyond the mega-companies and examines the sales reports of smaller Israeli manufacturers and so called “mom and pop” commercial entities, the effects of BDS are deeply troubling. It is a phenomenon that cannot be trivialized because literally thousands of Israeli jobs could be lost should the tide not be reversed. Many abroad think that there is little that can be done to silence the BDS movement. They rightfully assume that these campaigns are being instigated by callous hate-mongers who are unwilling to recognize Israel’s contribution to the world out of their ignorance of the realities of the Arab-Israeli conflict. Those same people think that it is best just to ignore BDS and it will go away- that it’s a laughable attempt to disrupt Israeli commerce. Perhaps this was a position which led some credence in the early days of BDS, when it was just a fringe protest movement, with little to no serious following. But no one cannot laugh any longer when we’re witness to factories closing and hard working Israeli men and women forced out of their jobs. Appreciating that BDS is a real threat is the first step and I believe that more and more within the pro-Israel community are waking up to that. But the question is what we can each do about it? Calling out Israel’s critics for the sheer absurdity of their claims is one way to go and certainly should be done wherever possible. Israeli innovation serves at the center of pretty much every technologically-charged industry that drives our modern world. From medicine, to computer engineering to entertainment, thousands of different operations are only made possible because of the brain power invested by Israeli developers. Before the critics power up their computers, play with their entertainment devices or undergo a medical procedure, they should be prepared to forego the experience if they are truly honest about boycotting Israel. My guess is that most of these BDSers wouldn’t be so prepared. But there is a far more practical side to what can be done by defenders of Israel and that is to defend our beloved nation through their wallets. The concept of buying blue and white is not a new one but it is becoming increasingly imperative that people recognize what is at stake if Israeli commercial enterprises are abandoned. The most fragile actors in any major economy are the little guys. These are the small-businesses without the financial resources to overcome the loss of even a small percentage of their annual revenue. When boycotters choose to publically call for the cessation of purchases from Israel, they directly harm Israeli manufacturers at the lower end of the production chain including small companies who produce Israeli-oriented products like Judaica, souvenirs and crafts. These companies are unable to overcome the hurdle imposed by a significant drop in income and are forced to lay off laborers. Perhaps it’s ironic but in many cases the boycotts hurt Palestinian laborers just as much as Israelis because dips in employment in Israel typically hurt Arab workers just as much as their Jewish counterparts. The response that we can therefore each take upon ourselves is to make the decision to invest in Israel in some small way by going online today and buying blue and white. This need not be a major purchase but the collective financial strength of the pro-Israel community around the world is surely far stronger than that of the BDSers. This is one way for us to all support Israel in a pro-active and lasting way and show our enemies that we cannot be destroyed and in so doing add “Financial Zionism” to the long list of ways we’ve shown our love for the Jewish State throughout its remarkable history. 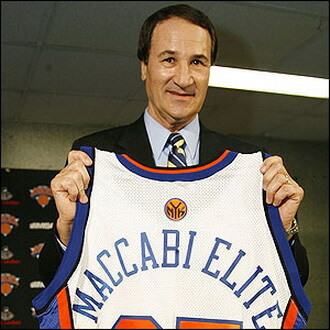 A former basketball star in the United States and Israel, Tal Brody is a Goodwill Ambassador for Israel and the Honorary Chairman of www.shop-a-fada.com – an online campaign to promote financial support of Israel.